More patients will soon have access to life-changing immunotherapy clinical trials thanks to a $105 million co-investment from the Commonwealth Government to establish the Peter Mac Centre of Excellence in Cellular Immunotherapy. This significant $80 million government investment, with input from Peter Mac and the Peter Mac Foundation, will provide access to treatments previously only offered overseas, making Melbourne a global hub for immunotherapy. Peter Mac Interim Chief Executive Nicole Tweddle said this investment recognises Peter Mac’s long history in cellular therapies and immunotherapy. “Peter Mac is excited to lead this field in Australia with our esteemed clinical and research partners across the country,” Ms Tweddle said. Peter Mac will build on our research and clinical excellence by increasing capacity for discovery and translational research, clinical care and highly skilled manufacturing. 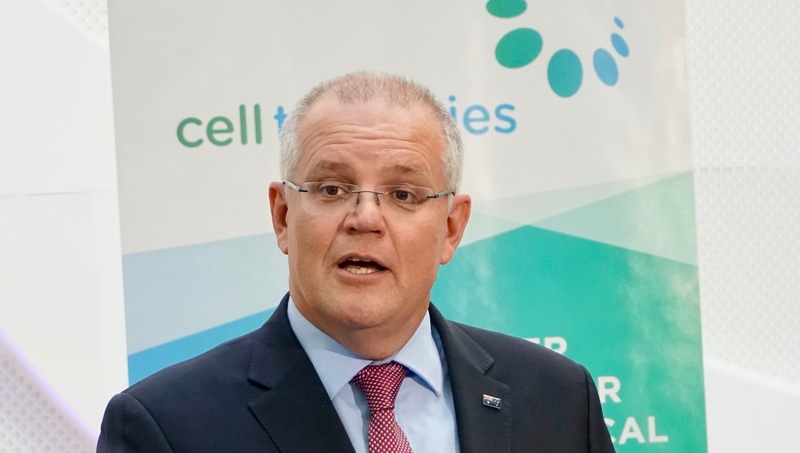 Director of Peter Mac’s Cellular Immunotherapy Program A/Prof Simon Harrison said the announcement would provide more patients access to this transformative treatment. “Today is a remarkable day,” A/Prof Harrison said. This new national centre will provide CAR T-cell therapy, which harnesses the body’s own immune system to fight cancer. CAR T-cell therapy involves removing a patient’s T-cells, re-engineering them in a lab and delivering them back into the body to attack and kill the cancer cells. This investment will build a new manufacturing industry at Peter Mac, highly skilled and specialised in cellular therapies. Building this manufacturing capacity will mean that Australian patients can have their cells manufactured in Australia and not be reliant on shipping the cells to the United States for processing. Peter Mac is a national leader in CAR T-cell therapy and a trail-blazer in this technology development for over 20 years, performing Australia’s very first CAR T-cell clinical trial in 2007. Establishment of capacity enabling us to provide more than 200 patients accessing lifesaving treatments for leukaemia and lymphoma cancers or accessing life-changing clinical trials using CAR T-cell therapy and other immunotherapies. 15 new clinical and pre-clinical research jobs.